While yesterdays try for an ISS Bounce QSO failed by Ronny, SM7FWZ, missing my rogers, we tried again this morning. As this orbit culminated near the zenith for me, I decided to catch up the ISS on the descending part of the pass. So I could avoid the singularity in the azimuth angle and we heard us right from the beginning with strong signals. As Ronny couldn´t copy any rogers yesterday, we had plenty of them today, as well as 73s! It is remarkable, that Ronnys signal was audible on backscatter off the ISS, even when my elevation became less than 2 degrees. The slantranges to the ISS were about 2100 km for me and 1700 km for Ronny: A total distance of 3800 km! This is the result of many tests and discussion before. Ronny transmitted and received on 1296.300 MHz during the whole pass and automatic Doppler compensation was done on my side for both of us. It is funny, that we had a Moon Bounce QSO a couple of days ago, just to compensate some frustrating tests. EME is sooo easy! Thank you, Ronny, for this fast and efficient QSO and enjoy your very special day! This entry was posted in ISS, ISS Bounce and tagged 1296 MHz, 23 cm, DJ5AR, International Space Station, ISS bounce, SM7FWZ on 2015-07-13 by admin. Welcome Ronny, SM7FWZ, to the ISS Bounce community! 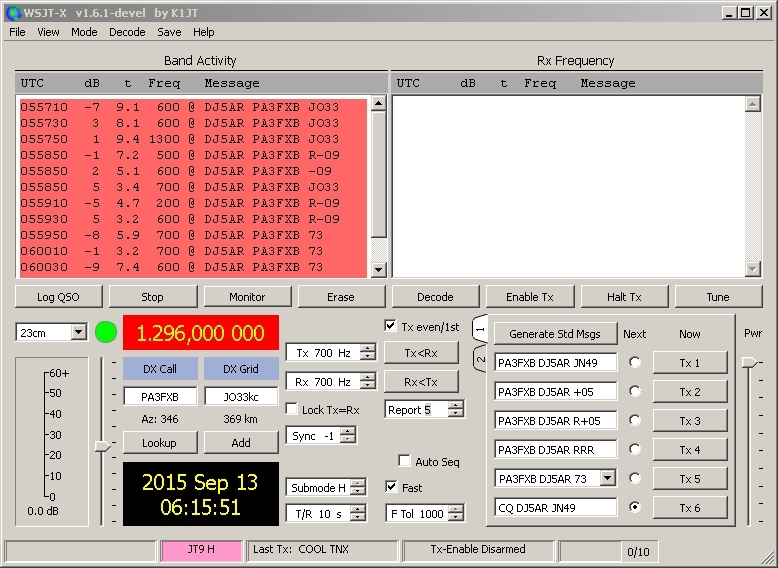 After many previous attempts Ronny, SM7FWZ and Jan, PA3FXB, managed to complete an ISS Bounce QSO on 23 cm today. 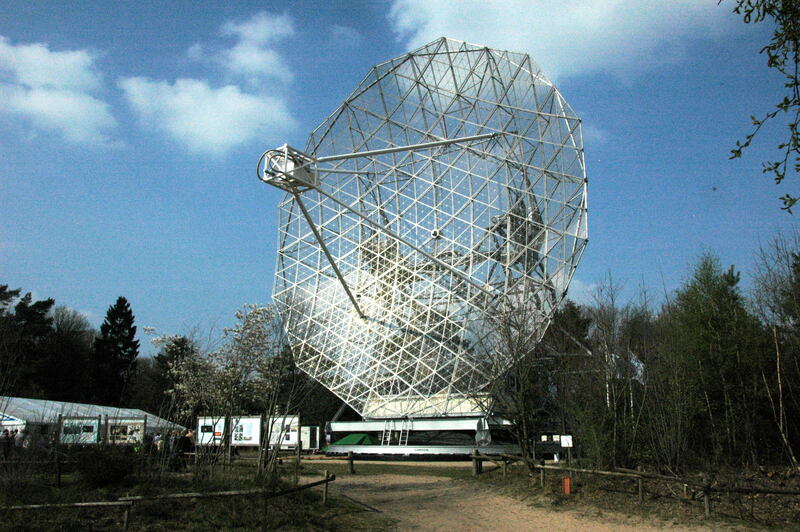 The rigs used, were a 3 m mesh dish with 375 W on the dutch and a 4 m solid dish with 300 W on the swedish side. The window opened from 2015-07-13 08:07 to 08:17 UTC. 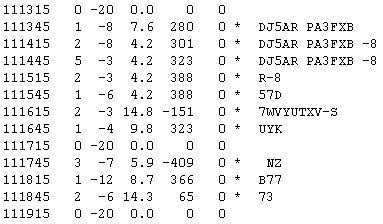 While the antenna tracking was done automatically by both stations, only Jan could perform Doppler compensation. So they used a kind of mixed mode in tracking the frequencies. Ronny transmitted on 1296.300 MHz and tried to catch Jans signal manually. So I monitored the frequency, Ronny should be heard on my side. It is nice to see in the video, how Jan appeared on the very left, getting closer and closer to the frequency, Ronny could be heard. This entry was posted in ISS, ISS Bounce and tagged 1296 MHz, 23 cm, International Space Station, ISS bounce, PA3FXB, SM7FWZ on 2015-07-12 by admin. Michal, SQ5KTM, has been successful in receiving reflections of the french GRAVES radar from the International Space Station. The radar system is used for space surveillance tasks, located in JN27SI and operating on 143.050 MHz. Karl, DK5EC, has written a very informative article about monitoring GRAVES. 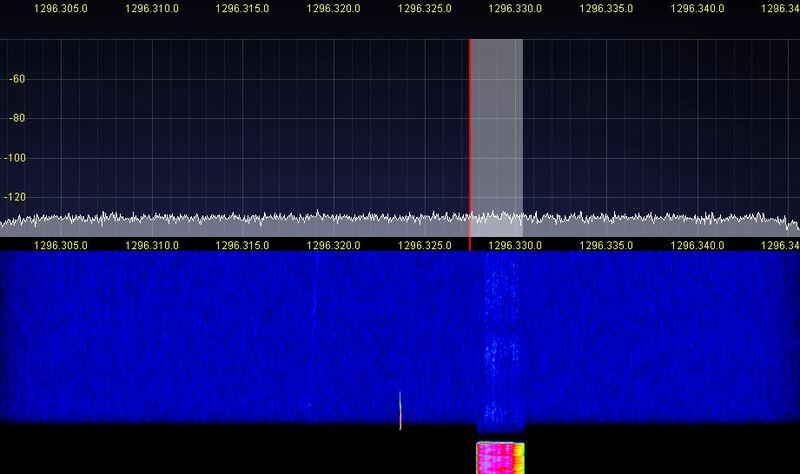 This entry was posted in ISS, ISS Bounce and tagged 144 MHz, 2 m, GRAVES, International Space Station, ISS bounce, SQ5KTM, VHF on 2015-06-14 by admin. Brendan Quest: Could it have been ISS Bounce? After giving a lecture about “Reflections on Air- and Spacecrafts” at the Dorsten GHz-Convention today, Alexander, DL8AAU, told me, he had discussed the possibility of ISS Bounce with Jeff, WA1HCO, when John, G4SWX, claimed to have received a burst of VC1T on 2 m across the atlantic ocean. Then he asked me about my opinion. Without knowing details, all I could answer was, that the inclination allows the ISS to cross at the latitudes of the stations and that it´s very likely, the stations will be inside the sight range of the ISS then. As the the above graphs show, a short window of about 1:40 minutes for ISS Bounce opened at exactly the time, John claimed the reception of VC1T. And in fact this has been discussed in the WSJT Meteor Scatter Weak Signal Group as well. The team members of VC1T and John, G4SWX, as well as those, involved in the discussion in Dorsten were informed to have the opportunity to check out my results. At least there is no doubt, there has been a matching window, exactly in these approximately 10 seconds, John received VC1T. Assumed power and antenna gain for VC1T have been 750 W and, as claimed on their website, 26 dBi. As I didn´t knew much about John´s rig, I assumed 20 dBi as antenna gain on his side. Differences can easily be added or subtracted to or of the above results. Also it hasn´t been considered that the ISS was not in the centers of the main lobes of the antennas. The radar cross section (RCS) of the ISS had been set to 348 m², as was given in the NORAD catalogue, as long as they provided this value there. For the prediction of the signal level the value of the RCS is essential, as it depends on the frequency, the angle, the reflecing object is seen from the groundstations, the shape of the object, resonances, and eventually by effects resulting of the geometry of the object, as can be seen on corner reflectors. So it´s value should be handled with extreme much care. I don´t really know, whether the value of 348 m² (25.4 dBm²), I used, has been too small or too large. Both is possible. At present Alexander, DL8AAU, is performing calculations on a digital model of the ISS using a special ray tracing software to get high quality values of RCS. This has to be done under consideration of the orientation and the heading of the ISS, as well as the angles, the ground stations have been seen by the International Space Station. It is interesting to have a look on the relation of the direct path bethween VC1T and G4SWX in blue versus the Groundtrack of the ISS in red with the window marked green. The bearing of the VC1T antenna has been 62°, while the ISS passed the window under 68°. Vice versa the bearings at G4SWX have been directly 285° and 278° to the ISS. How good is the quality of the assumed value of the RCS?, Can it be improved? Could this constellation lead to a receivable signal level at G4SWX? It has to be respected, that John, G4SWX, is a highly skilled operator with more than 30 years experience in 2 m EME and long distance MS over more than 3.000 km. Other propagation modes like meteor scatter, sporadic E or tropo, pure or in combination, are to be considered. There still is the possibility, that the match in time it is just a coincidence. This is exactly my point of view in this subject and it is up to the IRTS committee to recognize this contribution. ISS Bounce or not, we have to respect, it has been a great achievement to cross the Atlantic Ocean on 2m! Applause! When searching the web for more information, it seems, some had uncertain receptions just with fragments of a decode, finding it not worth to publish it. We are very interested in such “maybe” reception reports, to crosscheck it with a possible ISS window. In this context it is interesting to know, that in 2007 Peter, SM2CEW and Petros, SV3AAF were very close to complete a QSO via ISS Bounce over a distance of 3136 km in CW! This entry was posted in ISS Bounce and tagged 144 MHz, 2 m, Brendan Quest, Brendan Trophy, G4SWX, ISS bounce, Transatlantic, VC1T on 2015-02-21 by admin. Jan, PA3FXB, and I were discussing the use of digimodes on ISS bounce for quite a while. 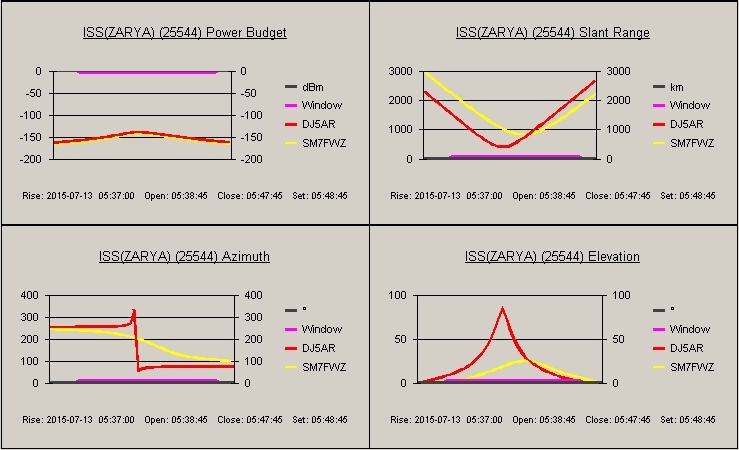 Today we tried it with ISCAT-B and were successful with the first shot. As in the tests with Ronald, ON7FLY, on AS, we used 15 seconds periods. From the moment on, traces could be seen in the waterfall diagram, decodes were possible. When the ISS culmiated and the variation of the dopplershift was fastest, the frequency correction came to its limits. But while I am used to ISCAT in the meantime, I needed no decodes to hear, that Jan was transmitting RRRRs. At least I decoded a 73 from him. The experiences with ISCAT in ISS bounce are very promising, although the 15 seconds periods are too long. So we have to discuss it and try with shorter ones. This entry was posted in ISS, ISS Bounce, WSJT and tagged 1296 MHz, 23 cm, International Space Station, ISCAT, ISS bounce, PA3FXB on 2015-01-04 by admin.